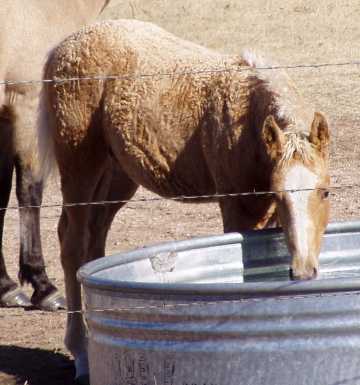 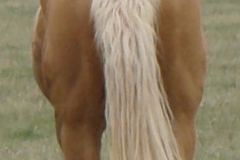 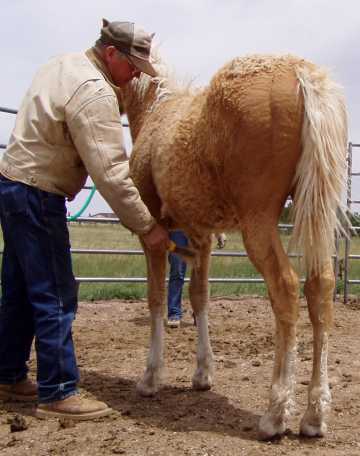 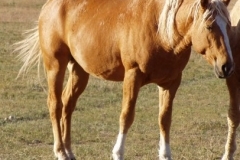 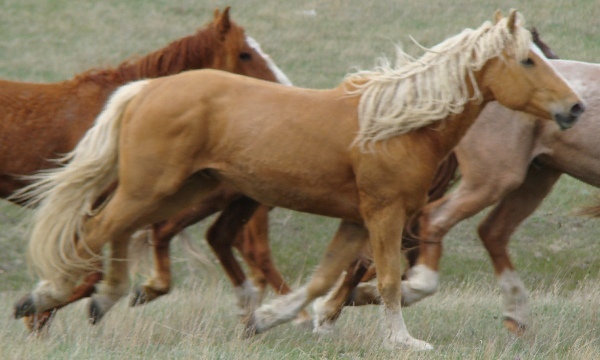 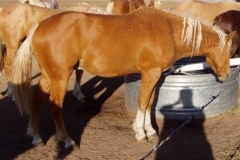 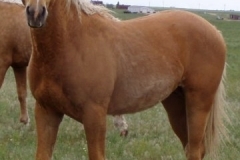 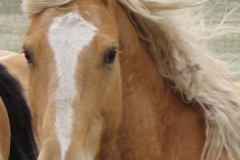 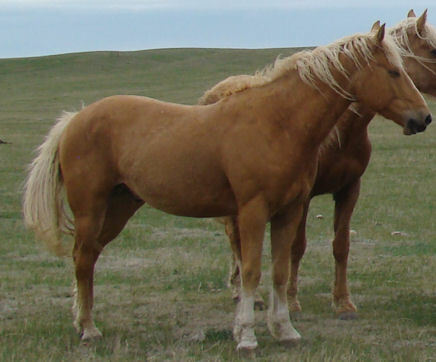 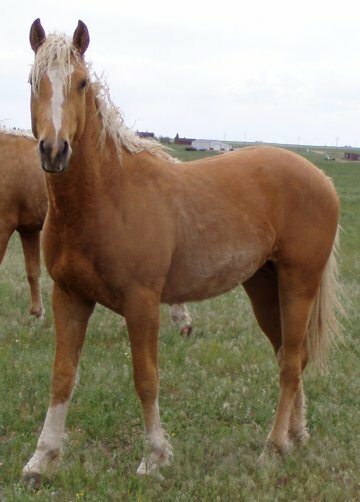 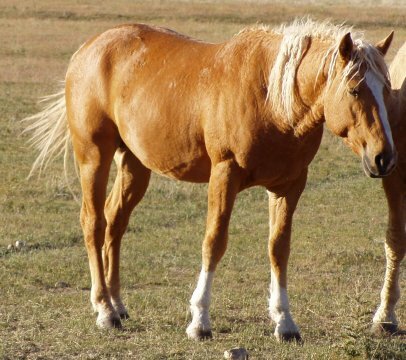 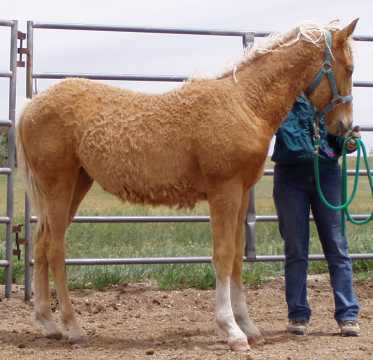 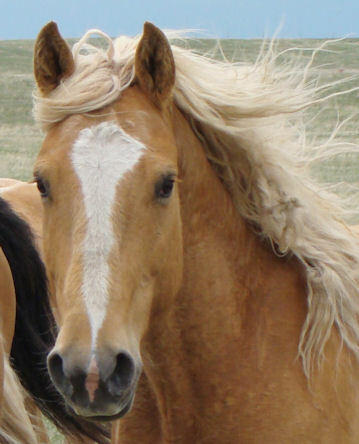 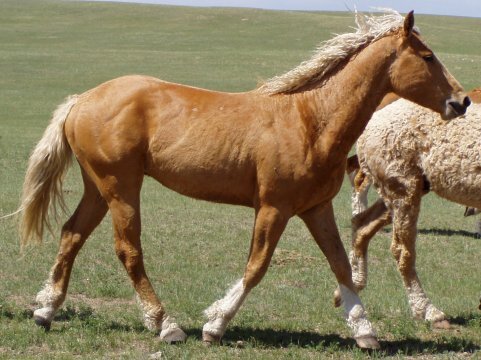 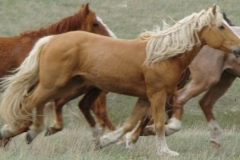 Dew, a 2005 gelding, has the stamp of his sire, Bit-O-Wy Mellow with deep-golden curls and blonde trim while adding the refinement of his dam, GG. 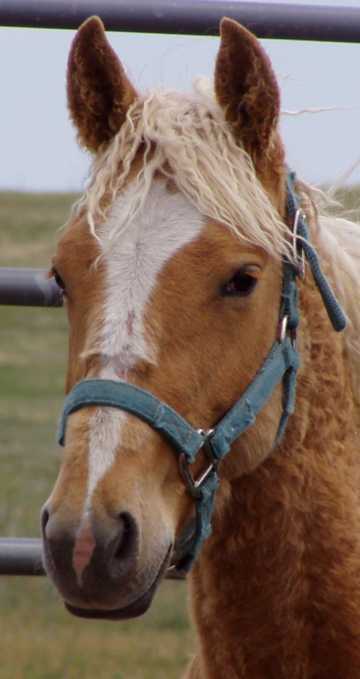 Dew graduated with the rest of his class from kindergarten and took high marks for intelligence and style. 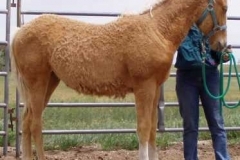 He halters, leads, understands a 30 feet rope tether and trusts his human companion enough to navigate dangers like horse- eating trailers, four-wheelers and any number of other scary objects! 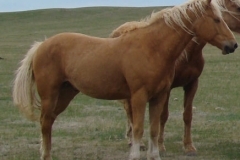 Running with his two brothers, his sire and another senior stallion has built Dew’s muscles. 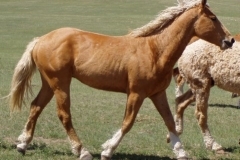 This boy is a dynamo whose color, curls and attitude make him an ideal candidate as a go all day riding horse or a flashy show horse. 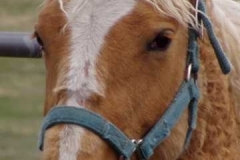 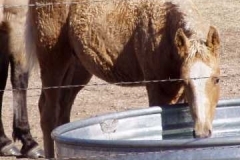 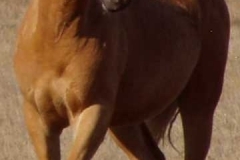 At 14.2 he is not large but is a horse who can carry a heavier load longer and farther then taller less sturdy horses.